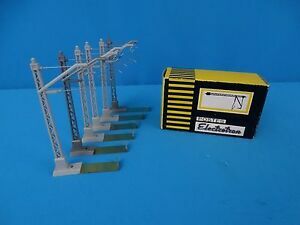 Details over Electrotren 252 Catenary Masts Grey set of 6 pcs. Electrotren 252 Catenary Masts Grey set of 6 pcs. Electrotren 252 Catenary Masts Grey set of 6 pcs. Electrotren 252 Catenary Masts Grey set of 6 pcs.